Peas belong to a family of legumes. They are typically low in fat, contain no cholesterol, and are high in folate, B vitamins, potassium, iron and manganese. They also contain beneficial fats and soluble and insoluble fibre. Despite being a good source of vegetarian protein, they can be a healthier substitute for meat because meat has more fat and cholesterol. Peas are commonly eaten around the world for their delicious taste, beautiful colour and numerous health benefits. Reduce blood sugar levels: In various studies, peas have shown reducing the increase in insulin and blood sugar levels after meals. It is because of its high levels of protein and fibre content. Help improve digestion and gut health: The high dietary fibre makes them a good digestion aid. Because fibre feeds the healthy bacteria in your gut, pea fibre may also improve gut health. Consumption of this legume also helps in growth of healthy bacteria in the intestines, such as Lactobacilli and Bifid bacteria. These bacteria help promote gut health by producing short-chain fatty acids. Formation of short-chain fatty acids, such as butyrate, may improve colon health and reduce the risk of colon cancer. Help prevent stomach cancer: Peas are packed with protective polyphenol content. It is known to prevent dreadful diseases like stomach cancer. Increase the feeling of fullness and satiety: Rich in healthy fibres, such as resistant starch and soluble fibres. Both resistant starch and soluble fibres are very satiating and increase the feeling of fullness. Thus they may help reduce food intake. Help in reducing belly fat and overall weight: Increased soluble fibre is associated with decreased rate of accumulated visceral fat or belly fat. Peas being low in calories and low in fat, may help in managing body weight effectively. Because of its satiating properties and taking it long to digest, it can make you feel full even after a long time. Thus you will eat less and lose weight quickly along with a regular exercise schedule. Improve blood pressure: Peas are a rich source of potassium, and it is the key mineral of the body that helps balancing out the negative effect of salt. Research has also found that adding peas to your diet could help hypertension as well as chronic kidney disease. Healthy kidneys help to control your blood pressure by controlling the amount of fluid stored in your body. The less the fluid, the lesser your blood pressure. Reduce cholesterol: Eating modest amount of the wonder seeds appears to reduce levels of LDL, the so-called bad cholesterol and thus achieve cardiovascular benefits. Researchers found that eating three-quarter of a cup of cooked peas a day reduced LDL levels by about five percent compared to similar diets without them. Lower heart disease risk: By lowering LDL levels, peas help reduce the risk of heart attacks and other major cardiovascular diseases. Prevent osteoporosis and arthritis: Anti-inflammatory properties of peas coupled with the action of antioxidants help in prevention of osteoporosis. Vitamin K in peas help in preventing arthritis. Boost immunity: Peas contain high levels of antioxidants due to the presence of many minerals in abundance, such as, calcium, copper, zinc, manganese, iron etc. All these minerals help prevent many serious diseases. Good for eyesight: Peas are a rich source of vitamin A which is an essential nutrient to maintain the health of eye-sight. 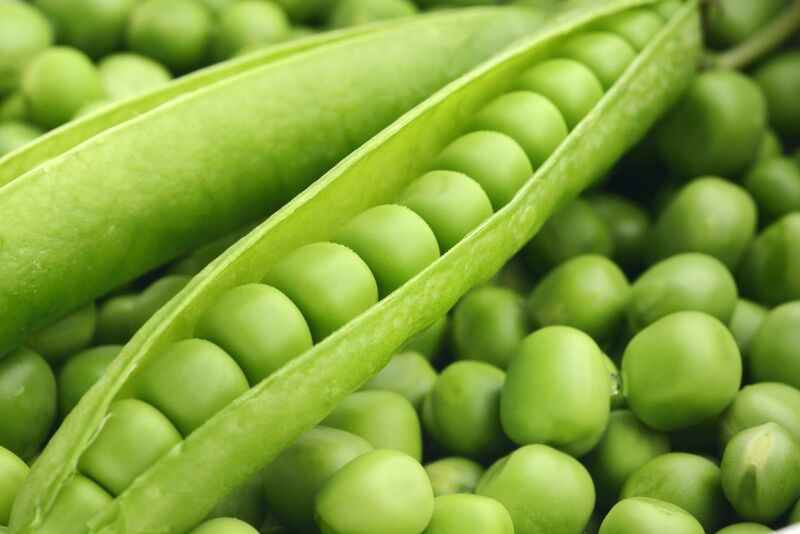 Beneficial for pregnant women: Being an excellent source of folic acid, fresh pea pods help in preventing neural tube defects in the new born babies. So they are good for expecting mothers and newly born babies as well. Skin friendly: The antioxidants, such as, flavonoids, catechin, epicatechin, carotenoid, alpha carotene etc. are present in peas in abundance. These antioxidants help combat skin aging process and provide it with a natural youthful glow. The anti-inflammatory properties of the peas help in prevention of wrinkles. Peas also contain skin-friendly nutrients like vitamin B6, vitamin C and folate. These nutrients protect the skin cells from damage caused by free radicals, enable your skin to fight oxidative damage and fight inflammation. They protect natural stores of collagen and elastin that help keep skin firm, supple and toned. Good for hair: Peas are a good source of B vitamin and vitamin C. These nutrients are essential for the optimal growth and health of hair. Deficiency of these nutrients can lead to dry and brittle hair that is prone to breakage and in worse cases hair loss. Not only are peas highly nutritious, they are also very cheap, which makes them an important food staple in many developing countries. When you think of all the healthy and delicious vegetables out there, you probably do not think much about peas. They quietly add colour, taste and health to so many dishes. But now it’s time to give this sweet little humble green veggie a choice to be in spotlight. They are so versatile – add them in sauces, soups, pastas, curry dishes, rice, dry vegetables and salads.